Since I gave up dairy I have been on a quest to find a suitable substitute for frozen yogurt which is one of my favorite summer treats. First I tried the frozen food aisle at Whole Foods but after reading the labels of the dairy free frozen concoctions at the super market I left empty handed. I didn’t know what half the ingredients were and the products I saw were not calorie friendly. 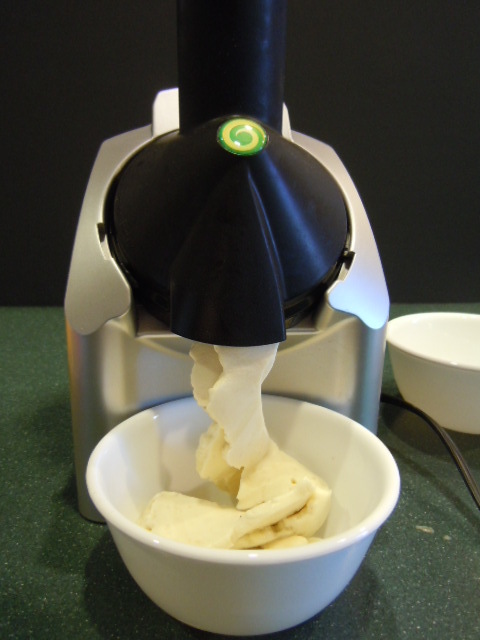 Although I can make a banana soft serve in my Blendtec or the food processor it only produces 2 servings at a time and I wanted to be able to serve the whole family a healthy frozen dessert. 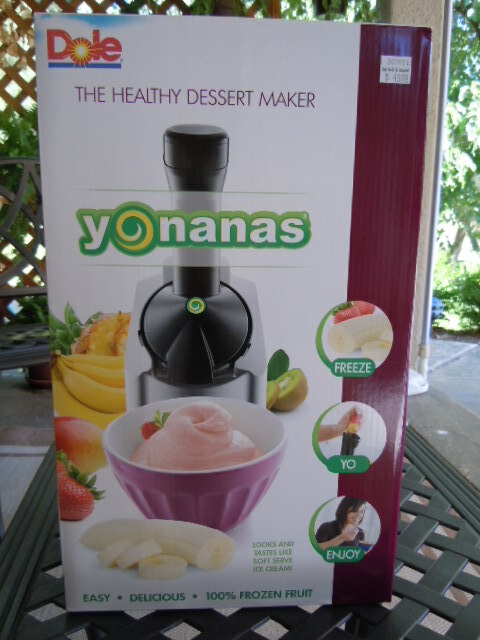 I had read about he Yonanas in the Engine 2 book and then while enjoying a little TV time one night I saw the Yonanas being demonstrated on QVC. It looked pretty easy to use and the only ingredients you need are frozen fruit. Not wanting to wait for a shipment to arrive I did a quick search on the Internet and discovered that my local Bed Bath & Beyond carried it. With my 20% off coupon in hand I headed for the store. This frozen fruit dessert maker retails for $49.99 but if you have one of those BB&B 20% off coupons you can save a little $. It’s very simple to use and comes apart easily to be washed. Once you have the machine, all you need is some frozen bananas or other frozen fruit. You want your bananas to get all spotted as that is when they are super sweet. Peel them and pop them into a freezer bag and freeze until firm. I have been buying so many bunches of bananas at Sam’s club and Costco that people must think I have pet monkey at home! When you are ready to make some frozen fruit desserts let the frozen fruit sit out at room temperature for 10-15 minutes to soften just a little. 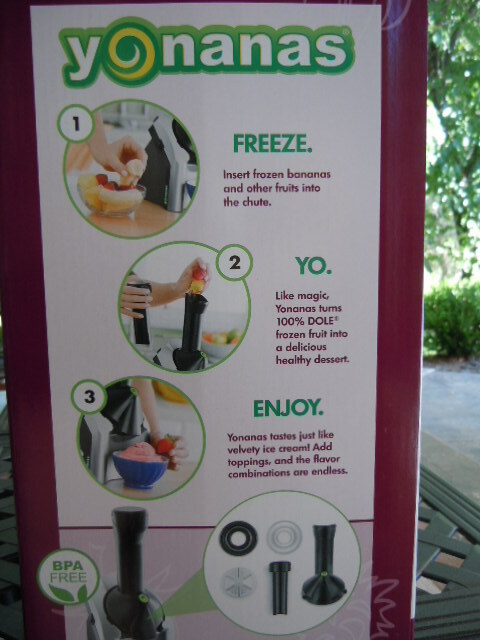 The Yonanas machine turns it into a delicious creamy smooth soft serve. Although you can create something similar in your food processor or high powered blender it isn’t as smooth and creamy as this. I don’t know why that is but I love the texture from the Yonanas better. This machine is perfect for serving one or two or a entire family. When you have guests over you can let everyone have a turn at making their own! The perfect healthy dessert for all ages and all diets. 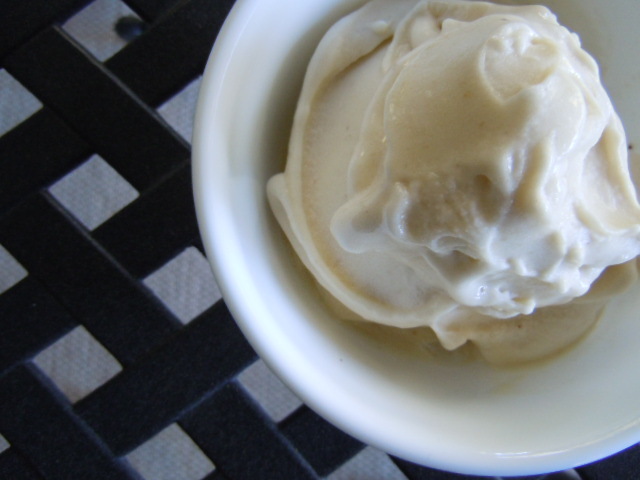 Bananas yonanas – soft and creamy – I love it! 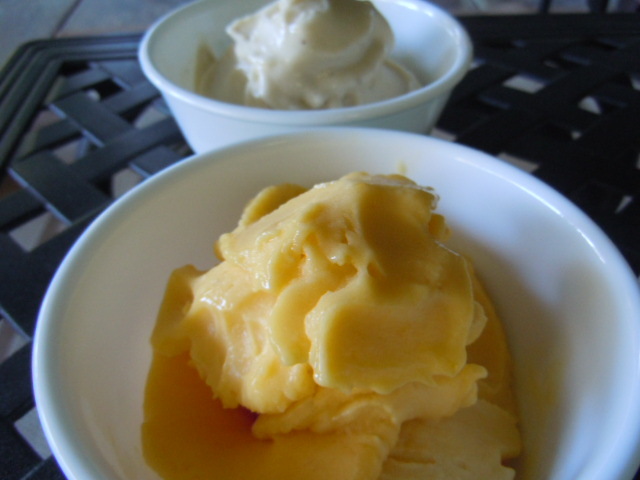 We also like to make a mixture of frozen mango and banana. The instructions say to alternate bananas with other frozen fruits but I have had great success using all frozen mango as well as a mixture of each. For toppings you can set out little bowls of diced fruit like, strawberries, bananas, kiwi, blueberries, raspberries, pineapple, mango and some flavored balsamic vinegars, like cocoa, maple, coconut or pineapple! 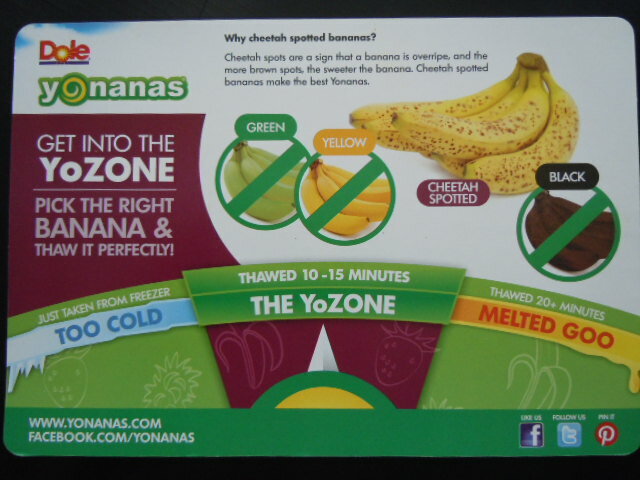 Previous Post: « Bananas For Yonanas!